The Transit Store, Corporate Discount Program website & EASY Pay App purchasing will be offline. Ticket vending machines will be in cash-only mode. Single-Tracking Schedule: April 18 - 25: Track preventive maintenance and repair work is performed after 8:30 p.m. on weekdays and all day on weekends. In the areas where work is being done, northbound and southbound trains will alternate (single-track) service on the same track while maintenance is being performed on the opposite track. Thursday, April 18: Single-tracking between Earlington Heights & Culmer stations after 9:00 p.m.
Service frequencies will not be affected. Friday, April 19: Single-tracking between Vizcaya & Douglas Road stations after 9:00 p.m.
Saturday, April 20 - Sunday, April 21: Single-tracking between Vizcaya & Douglas Road stations all day. Monday, April 22 - Wednesday, April 24: Single-tracking between Okeechobee & Northside stations after 9:00 p.m.
Thursday, April 25: No single-tracking scheduled. NOTE: To ensure you get to your destination on time during single tracking, arrive at your train station a few minutes earlier, or track your train arrival with the MDT Tracker App. You can also call Customer Services at 305-891-3131 to obtain more details on the single tracking schedule. Effective Friday, April 12, 2019, the pedestrian bridge located at Douglas Road station is closed. Pedestrians may cross US-1 at SW 37 Avenue. Metrorail and Metrobus service to the station will be not be affected. Bridge will be closed for several months. Detoured from SW 200 St, between SW 112 Ct. & SW 110 Ct.
Several bus routes will be detoured from approximately 6:30 p.m. (depending on police road closures) until approximately 9:30 p.m. (Boarding locations in parentheses). Buses that provide service along Biscayne Blvd., between SE 1 St. & NE 5 St., will be detoured between 2:00 p.m. and 11:00 p.m. Shuttle service will be provided to the temporary bus stops. Northbound trips will stay on NE 171 St., turning north on W. Dixie Highway and turning east on NE 172 St.
Detoured from NW 103 St & Okeechobee Rd due to road construction. Gameday service from Historic Overtown/Lyric Theatre Metrorail Station to Marlins Park throughout baseball season. Begins 90 minutes before opening pitch. Ends 60 minutes after last out. Regular Metrobus fare of $2.25 per trip. The bus platform at the West Lot will be temporarily relocated to the East Lot during construction of the Golden Glades Multimodal Transportation Facility. 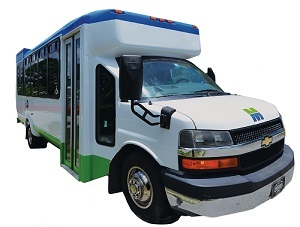 The following Metrobus routes will pick up and drop off at the East Lot from 9 p.m., March 1, 2019 through August 1, 2020. Weekday frequency will be increased with each branch (35 & 35A) operating every 40 minutes combined to provide service every 20 minutes between Kendall and Naranja. The 35A branch will now operate on weekends. The 35 and 35A branches will each operate hourly providing combined service every 30 minutes between Kendall and Naranja. Will be served by different vehicle types. Detoured from SW 288 St between 127 Ave & 133 Ave.
Detoured to SW 280 St.
Due to road construction on SW 127 Ave, 288 St & 132 Ave.
Due to gas line repairs. To improve overall system efficiency, the following bus stop is scheduled to be removed as of Friday, November 30, 2018. Please be aware that it may continue to appear on GPS apps. To improve overall system efficiency, the following bus stops are scheduled to be removed as of Friday, November 9, 2018. Please be aware that they may continue to appear on GPS apps. Detoured to NW 16 St. Eastbound trips detoured from Indian Creek Dr south of 33 St due to flooding mitigation project work in the area. Detoured to 33 St and Collins Ave.
New Route 248 Princeton Circulator begins service Monday, November 19, 2018. Local weekday circulator service operating every 60 minutes from 6 a.m. to 7 p.m.
To improve overall system efficiency, four routes will be adjusted effective Sunday November 18, 2018. Southbound 10 minute-frequency service will start earlier, at 2:30 p.m., continuing until 7:20 p.m.
Minor southbound schedule adjustments will be made to improve service reliability. Trips before 6 p.m. will leave anywhere from three minutes earlier up to three minutes later. Northbound schedule adjustments will be made after 6 p.m. to improve service reliability. Trips will leave Government Center as currently scheduled, arriving at NW 7 Ave & 183 St up to eight minutes later. On Sundays, the 5:34 p.m. and 6:40 p.m. southbound trips will leave earlier at 5:30 p.m. and 6:34 p.m. respectively. The last westbound trip will leave Dadeland North Station 10 minutes later at 1:00 a.m. allowing passengers on the last southbound train to connect with the last Route 88 westbound trip. Service will be added seven days a week. The route will operate every 50 minutes from 7:20 a.m. to 7:00 p.m. The first trip will leave Old Cutler Road and Franjo Road at 10:40 a.m. Remaining trips leave every hour, with the last trip leaving at 3:40 p.m.
To improve overall system efficiency, the following bus stops along E 9 St in Hialeah are scheduled to be removed as of Friday, October 19, 2018. Please be aware that they may continue to appear on GPS apps. Detoured off of NW N River Dr between NW 4 St & NW 2 St due to road construction. Northbound trips detoured to NW 2 St, NW 3 Ave and SW 4 St.
Southbound trips detoured to NW 4 St, NW 3 Ave, NW 3 St, NW 2 Ave and SW 1 St.
To improve overall system efficiency, the following bus stop is scheduled to be removed as of Friday, October 12, 2018. Please be aware that it may continue to appear on GPS apps. To improve overall system efficiency, the following bus stops along W 12 Ave in Hialeah are scheduled to be removed as of Friday, September 28, 2018. Please be aware that they may continue to appear on GPS apps. To improve overall system efficiency, the following bus stops along NW 72 Ave are scheduled to be removed as of Friday, September 14, 2018. Please be aware that they may continue to appear on GPS apps. Last Northbound stop will be NW 68 Ave & 186 St. Southbound trips will continue to serve NW 73 Ave & 186 St at the published scheduled times. Southbound trips detoured from Indian Creek Dr south of 33 St due to flooding mitigation project work in the area. Due to Convention Center & road construction, buses will turn south on Washington Ave from 17 St, east on Lincoln Rd and north on Collins Ave. The Convention Center will not be served directly. Duration unknown. Detoured to the Julia Tuttle Causeway from Omni Terminal via Biscayne Blvd, then to 5th St via Alton Rd. Due to causeway bridge repairs. Service frequency will be adjusted to operate approximately every 35 minutes during rush hours. Minor schedule adjustments will be made in both directions to improve service reliability. Detoured from SW 87 Ave between 174 St & 168 St., due to road construction. 2017-04-01: Detoured from NW 1 Ave between NW 8 St and NW 3 St in Downtown Miami due to All Aboard Florida construction. Detoured to N Miami Ave. Duration unknown. Will be served by minibuses starting August 2017. The route, schedule, frequency and fare will not change. Bus models may vary. 2017-03-01: Detoured off of 20 St between West Ave & Bay Rd in Miami Beach to 18 St, due to road closures. Duration unknown. 2017-03-25: Route will end at Crandon Blvd & Mashta Dr in Key Biscayne due to road construction. Trips to mainland will start on Mashta Dr, Fernwood Rd & Westwood Dr to Crandon Blvd. Duration unknown.